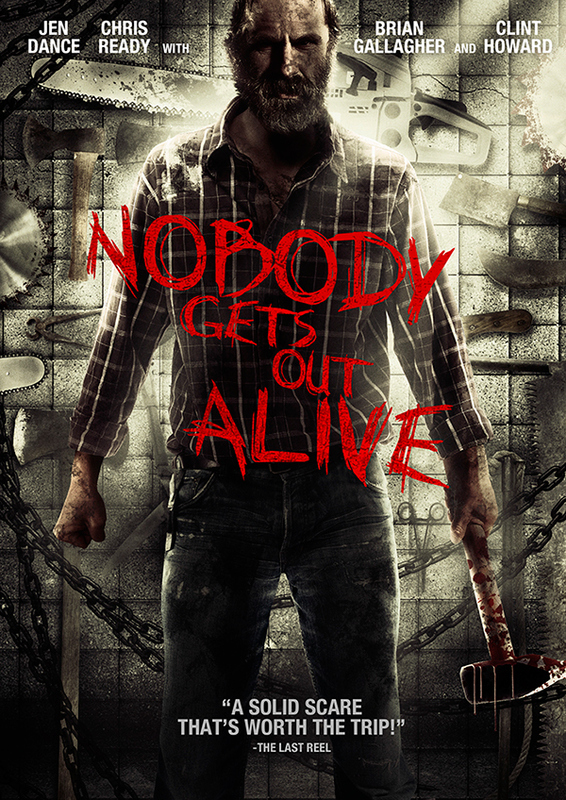 It has been a bit over two years since the release of the 80's styled flick, Nobody Gets Out Alive, but the soundtrack has never been released... Until now! A group of college students escape their troubled lives but only to fight for their lives from a revenge seeking madman. Starring: Matthew Nadu, Chris Ready, Brian Gallagher, Shaun Costello, Nikki Bell, Clint Howard. November 1st, 2015 marks the 5th anniversary of starting principal photography on the movie originally titled Down The Road. The movie went on to being picked up by Image Entertainment (RLJ Entertainment) in the U.S. as well as EOne Films in Canada and released on February 21st, 2013. It was released in 19 territories worldwide under the title Punishment. It wasn't until about a month ago, director Jason-Christopher Mayer opened up the hard drive and realized there's a soundtrack there. He could release as a free present on its fifth anniversary. The soundtrack features all score pieces (free downloads) including alternate scores by Gene Micofsky. The soundtrack also features music used in the film (not downloadable) by CKY, Viking Skull, Hello Cleveland, and The Moxy. It features score pieces used in trailers and teasers, by Jason-Christopher Mayer and Jason Milstein. The soundtrack will be available for FREE on band camp. The movie is available on DVD and digital download by way of iTunes and Amazon.